The Marvel Universe has expanded with Munchkin X-Men, a stand-alone game that can also be combined with Munchkin Marvel. 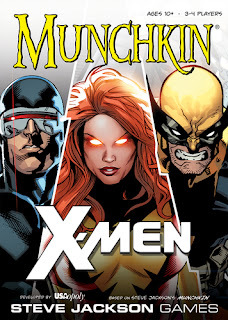 Munchkin X-Men includes 128 Door and Treasure cards, 4 role cards, 4 level trackers, and a custom die. 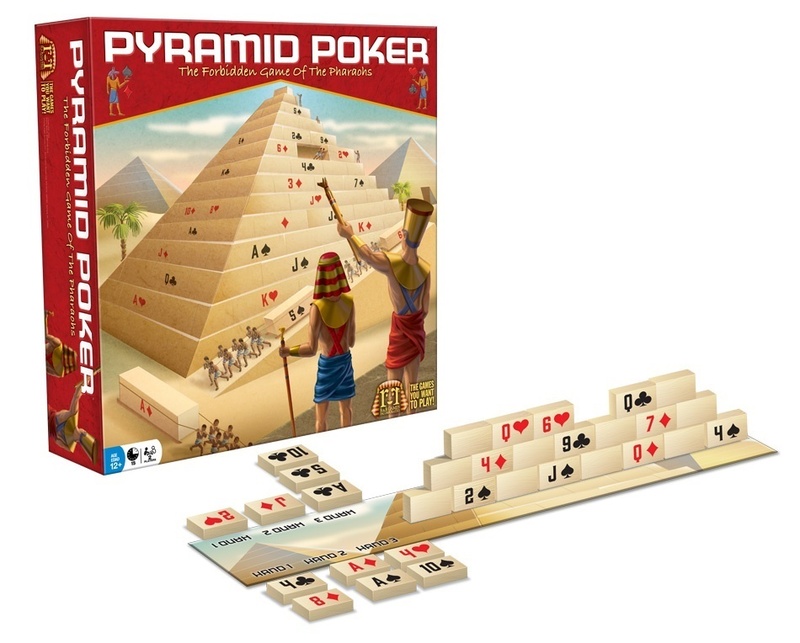 Pyramid Poker is a quick and challenging 2-player poker game that's played with tiles. 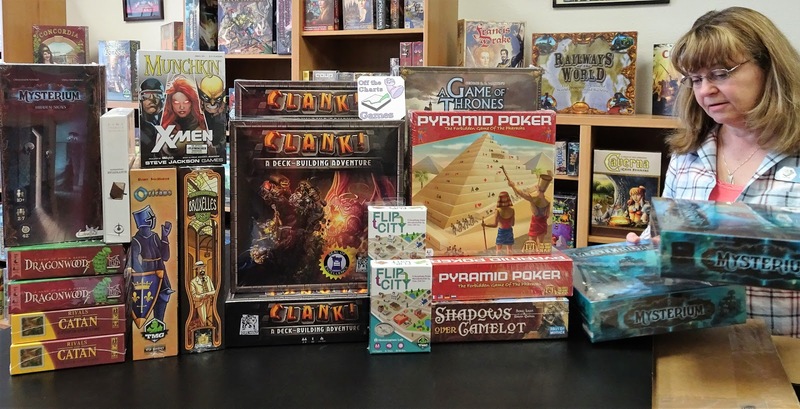 Players begin by first building a 30-tile pyramid from the 54 custom tiles. Each player will only know what's on the tiles facing them. Once constructed, each player will start creating their 3 poker hands. 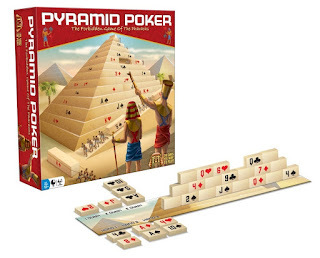 On a turn you will remove a tile from the pyramid and place it in one of your 3 hand slots. Play continues until all of the pyramid tiles have been placed in a hand slot. Win 2 of the 3 match-ups to win the game. 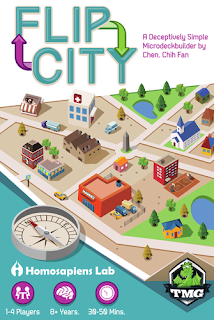 Flip City is a press your luck micro deck-building card game with double-sided cards. On a turn, a player will play cards from the top of their deck, one at a time. When you choose to stop, you may then purchase a new card with any money you earned from played cards or pay to upgrade a card by flipping it over. However, if your played cards have too many unhappiness faces your turn is over. The player who plays 8 victory points worth of cards in a single turn, or meets other conditions, wins the game.